Home /How Much Can We Blame Kanye West for the Terrible Blexit Logo? How Much Can We Blame Kanye West for the Terrible Blexit Logo? by Olivier Douliery/Abaca Press/Sipa/AP Photo. Graphic design is his passion. Kanye West is now dipping his toe into logo-making, crafting—or, at least, helping to craft—the “X” in the logo for Blexit, a self-described “frequency for those who have released themselves from the political orthodoxy” started by conservative commentator Candace Owens. Teal and orange T-shirts and hats featuring the Blexit logo and “We Free” on them were handed out at the Young Black Leadership Summit in Washington, D.C., last weekend, where, according to Page Six, Owens credited West with their design. With their bright colors, they do look a little more fashionable than your average MAGA hat—but the human-shaped “X” in Blexit is about on par with the Trump administration’s efforts at a Space Force logo. 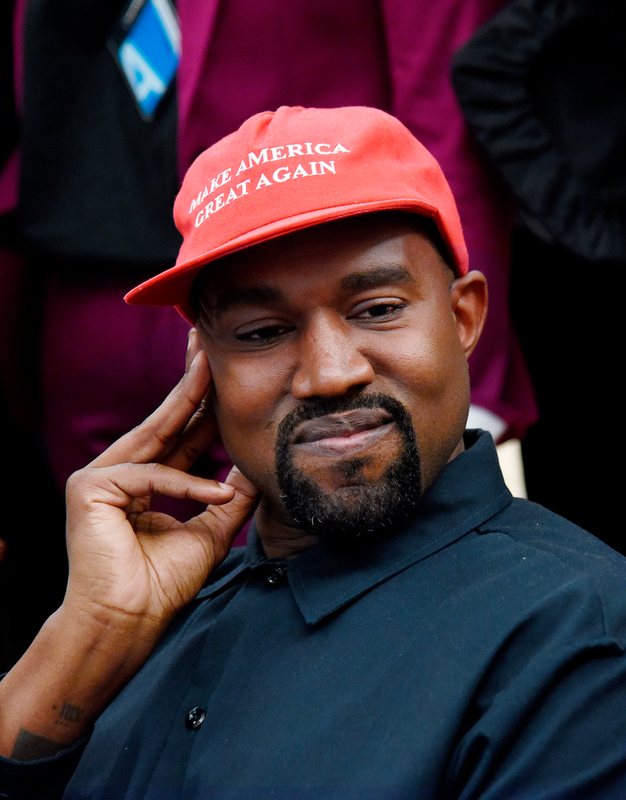 So, is the Blexit logo what happens when MAGA Kanye overtakes Fashion Kanye? While West’s Yeezy line usually sticks to muted colors and neutrals, the bright colors of the Blexit merch touch on the 90s nostalgia taking over the fashion industry, so it seems likely that West had some say in the design process, even if Owens would rather you not talk about it. The much-discussed “X” that West helped design, to whatever degree, isn’t much to look at, just a shapeless figure outstretching its hands and legs in the shape of the letter. The new logo was reportedly released in tandem with a broader launch of the organization’s Web site, which includes articles with headlines like “Democrats vs. Civil Rights Protests” and “President LBJ’s True Motivations” depicting Democrats as those perpetuating racism and Republicans as misunderstood heroes. It’s an interesting ask coming from the woman who proudly posted a photo of a Blexit hat next to a MAGA hat and accused “angry leftists” of keeping the black community apart. While West enters into his controversy-of-the-week with Blexit, his wife, Kim Kardashian, seems to be going out of her way to stay out of it, staying busy on social media to promote her new line of fragrances. Looking for more? Sign up for our daily newsletter and never miss a story. Our essential brief on culture, the news, and more. And it’s on the house. There is no official Trump family creed, at least one that is publicly known, but it could be something like: what’s dad’s is ours and again, what’s dad’s is ours. That, apparently, includes the desk in the Oval Office, which Ivanka has kept warm on multiple occasions, including this phone call with the astronaut who broke the record for the longest stay aboard the International Space Station. 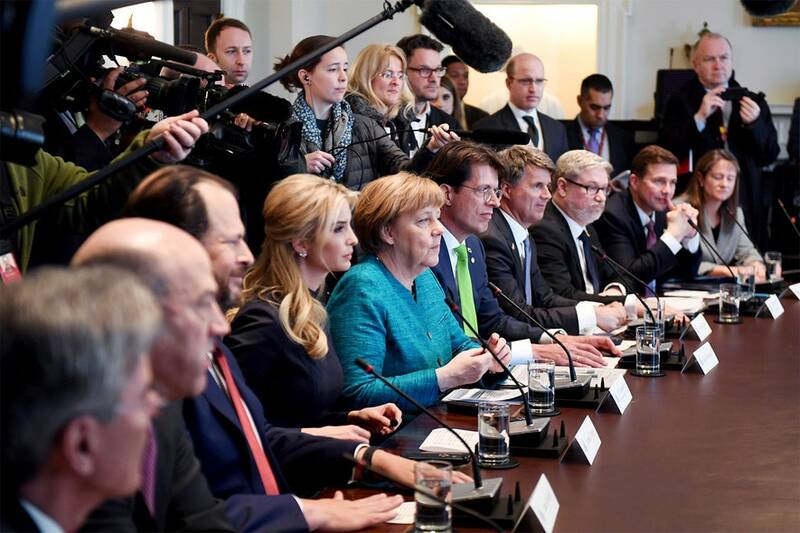 Before Ivanka Trump even had an official title, a security clearance, or a West Wing office (in fact, she was still denying that she would be a government employee at this point), she still managed to score a spot directly next to German Chancellor Angela Merkel on her visit to the White House in March. We’ll call it an unofficial official work perk. 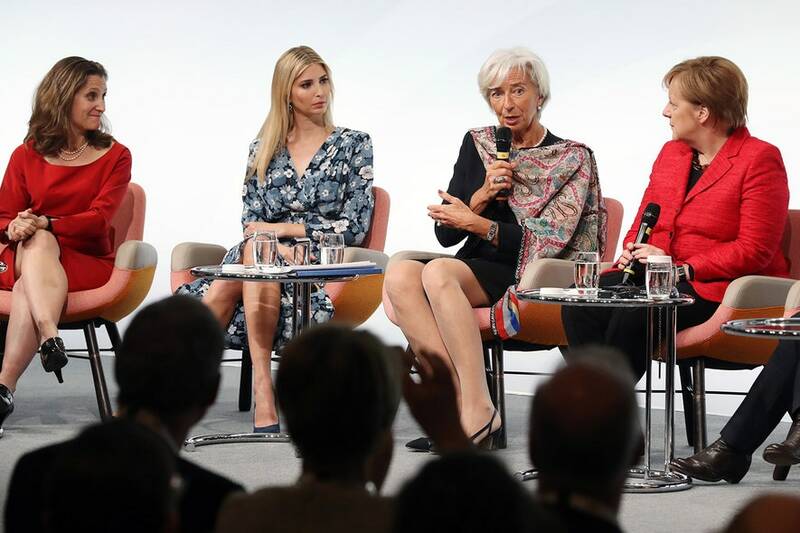 There was an elected head of state, a head of the International Monetary Fund, a foreign minister, and a real live queen on stage at the W20 summit in Berlin in April. 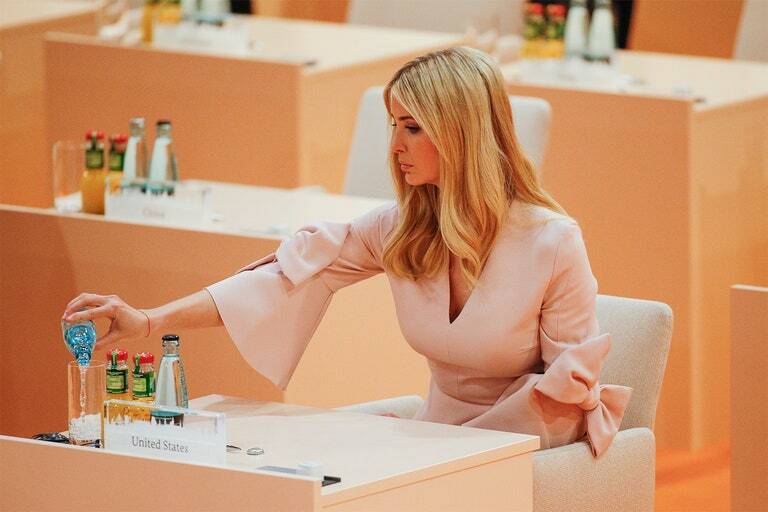 Ivanka Trump was there, too, after her former seat-mate Merkel invited her to join. But even the panel’s moderator was unsure of why she was there—asking her to clarify whether she was representing the interests of the U.S., her father, or her business. Members of the crowd later groaned when she highlighted her father’s support of women in business. Some 24 decades ago, America signed its Declaration of Independence to form a nation free of of a monarchy. So it rubbed people the wrong way when the president’s eldest daughter took her father’s seat at the G20 this summer in Germany when alongside other world leaders. While it is common for heads of state to take breaks, typically their seats are warmed by people who do not share their D.N.A. Perhaps Rex Tillerson would have been a safer choice. The way in which Canadian Prime Minister Justin Trudeau carries himself like diplomatic Disney Prince makes him easy to watch. 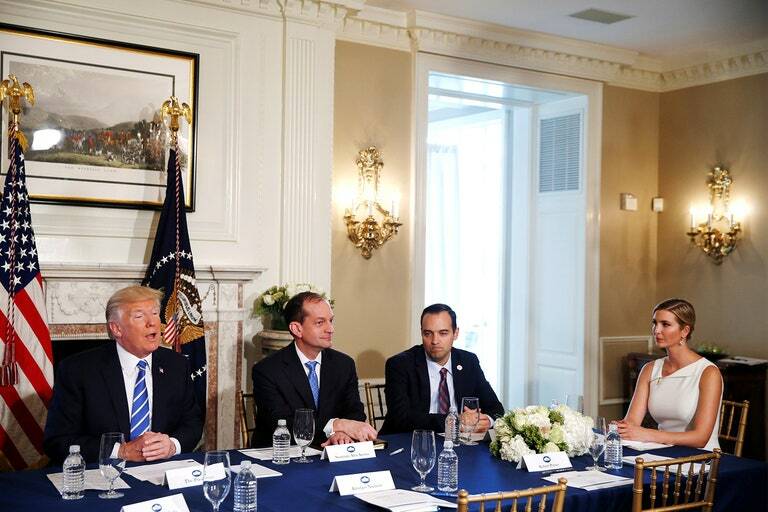 And that is exactly what Ivanka Trump did when the two sat next to each other in the Roosevelt Room at the White House earlier this year in a meeting about entrepreneurship. 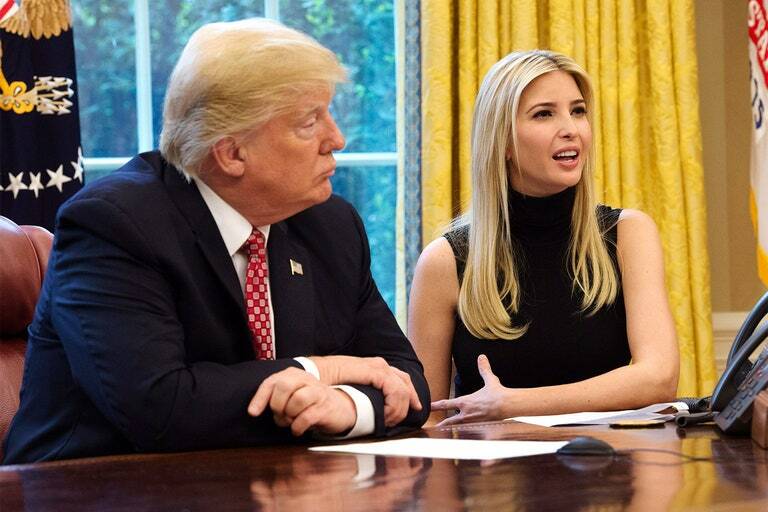 What was discussed at said meeting got overshadowed by photographs snapped of the First Daughter eyeing Canada’s First Man. Weeks later, she took another seat next to him, that time, at a Broadway show in New York, at which Ivanka was his guest. Many people questioned the fiery language President Donald Trump used in describing his reaction to North Korea while on his summer vacation in Bedminster, New Jersey earlier this month. He doubled down when a reporter asked him what he meant by his tweet in which he said the U.S. was “locked and loaded” to respond to a Pyongyang provocation. “If [King Jong Un] utters one threat in a form of an overt threat…he will truly regret it and he will regret it fast,” he responded. The only thing more upending than these comments was the fact that he was giving them while his daughter was seated at the table with him, in the frame, as cameras rolled. It was supposed to be a workforce development meeting, after all, and that is on her White House slate. Perhaps this is why First Daughters don’t typically work in official capacities in the White House. Putin’s chair in his Kremlin office? Impressive. The Resolute Desk in the Oval? Historic. To Merkel’s left and Trudeau’s good side and the G20 stage? That’s all any ambitious 35-year-old could dream of. 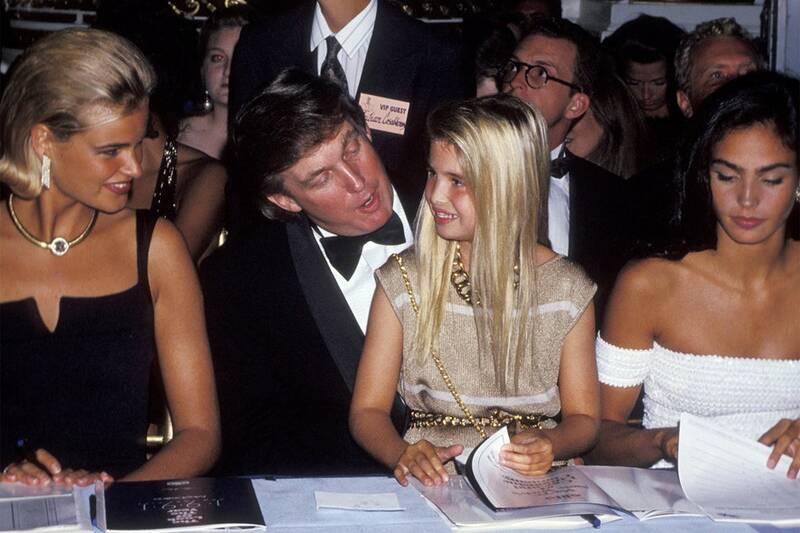 But even at an early age, long before the White House was in view, Ivanka Trump knew the best seat—the one that would get her more in life than anything else—was closer to home.